Randy Rosenthal’s piece over at Lion’s Roar has generated a good deal of discussion around the internet. This blog alone had nearly 1500 views yesterday based on links provided in these various discussions (on Reddit, Facebook, Twitter, etc.). That Lion’s Roar piece was heavily edited. In fact, I feel, based on the discussions I have witnessed, it has caused more misunderstanding than clarity. So, throwing caution to the wind, I am posting here the version that I actually expected to be published at the Buddhist glossy. I would begin this clarification by removing the scare-quotes from the title. It is not some erroneous non-entity “Buddhism” that I am critiquing. I am critiquing Buddhism through and through, in whatever x form it appears. For an intelligent and knowledgeable review of the book, visit Matthew O’Connell’s Post-Traditional Buddhism. This conclusion, and the critique that is his book, will be disturbing if not infuriating to anyone who considers themselves to be Buddhist, a dharma practitioner, or even a scholar of Buddhism. Yet Wallis is not at all trying to be provocative simply to stir up the pot—as his Pali teacher Charles Hallisey told me, Wallis “is nothing less than serious.” And his critique comes from a deeply sincere desire to salvage something real from the ruins of what has become Buddhism in the West. What does he mean by this? I’ll let Wallis do most of the explaining, but a powerful example is his scathing critique of the “business of mindfulness,” and how this Western Buddhist practice has not only been co-opted by corporate interests and secular teachers, but embraced and emphasized by Dharma centers and Buddhist communities themselves. Looking, with astonishment, at Matthieu Ricard’s influential presence at the 2014 World Economic Forum in Davos, for instance, Wallis writes, “Western Buddhism is the perfect ideological supplement to rabid consumerist capitalism.” That is, Buddhism as we know it is inseparable from the neoliberal ideology in which it has flourished. If you’re like me, you might initially react to this idea with a, “Wait, what?” But it makes sense. By practicing mindfulness, by letting go, by being non-reactive and non-judgmental, a worker will search inside themselves—but not into the exploitative nature and conditions of work environments that create employee malaise, stress, and anxiety in the first place. This is just one aspect of how Wallis reveals Western Buddhism is not what we think it is. Through “doctrinal alterations” focusing on positive well-being, and statements of “tautological idiocy”—the typical wisdom sayings we’ve become accustomed to hearing from Dharma teachers and writers—Wallis thinks we have been embracing a Buddhism that actually resists fulfilment of the ideas it promotes. As he writes, “The history of Western Buddhism … is one of evading the consequences of its own thought.” That is, we do not want to fully accept anatta, and we do not truly want to pursue nibbana. We don’t even want to accept that all of this is dukkha. But what do all of these terms mean? Since A Critique of Western Buddhism is intellectually dense—not to mention, as an academic title, prohibitively expensive—I had a Google Hangout with Wallis so I could ask him to explain these ideas to those who might not be able to read his book, and also to those who, after reading this interview, will want to. Randy Rosenthal: In the introduction to your book, you write that after 40 years of surveying the Buddhist landscape, you conclude that “Western Buddhism must be ruined.” This will come as a shock, if not a provocation, to many people. Can you elaborate this idea? For instance, do you mean we should ruin it, or that it is already ruined? What do you mean by this? Glenn Wallis: The biggest take-away point from my critique is that Buddhism represses its most radical insights. I think the literary conceit of “ruin” gets at this repression. In the book, I quote the German writer Georg Simmel, who wrote in 1907 that “a ruin is fused into the surrounding landscape and, like tree and stone, grows into and is integrated in that landscape.” To my mind, that image is suggestive of a human cultural form that is inseparable from nature. Buddhism presents itself as hewing extremely close to “nature” (to the nature of mind, to reality, to the way things are, etc.). My critique is an investigation of this claim. It concludes that Buddhism is, metaphorically speaking, precisely not a ruin. It is more akin to a sprawling spa-like estate. Therefore, to say that it must be “ruined” is to say that it must be radicalized. Radicalized means that Buddhist ideas and practices have to be stripped of their pretension, which I call “the principle of sufficient Buddhism.” That is, the idea that Buddhism can be universally applied to its object, whether mental health, desire, relationships, emotions, the workplace, the environment, whatever. Radicalized means that it just becomes raw cultural material that human beings can work with, unbeholden to the punctilious gaze of Buddhist mastery. It’s obviously intended to be provocative to say Buddhism must be ruined, but it’s not what people think—it doesn’t mean you need to annihilate it and be done with it. It means we need to perform certain operations on it to make it become what it seems to want to be—although we want to avoid a kind of reformism here. RR: Right, in your book you stay away from saying we should get back to a Buddhist orthodoxy or anything like that. But you do mention that Western Buddhism has “doctrinal alterations.” Can you specify some of those doctrinal alterations or elaborate on that idea? GW: There are a couple of ways. One way is it’s interesting because Buddhism is supposed to be a timeless teaching, whose originations is the deep insight that this man had about basic structures of human existence that are abiding and eternal or universal, and so forth. Both the insight and the structures are held to not be contingent on time or place. That’s a primary premise of Buddhism, one that makes it a kind of religious system, as opposed to, say, a psychology or philosophy. And yet all the time Buddhists perform operations on both the insight and on what constitutes basic structures of human existence. They regularly perform doctrinal alterations. This seems to imply that it’s not really seen as this universal timeless teaching, that it’s more like a time- and place-bound ideology, one that moreover requires alteration and adjustment and so forth. An example is dependent origination. In the old Buddhist texts, dependent origination explains our horrific situation that there is no freedom, that we’re inextricably bound to everything, from genetics—they don’t use that term; they used a term inherited karma or something like that—to society and language, to the pressures of the family and everyone around us, to the social institutions around us, and to the culture in which we are embedded. We’re interconnected to all of that, so that there’s no real human freedom. But the doctrinal alteration in the modern day usage is the celebratory mechanism, whereby all things are interconnected in a way the bespeaks truth, goodness, and beauty—it’s evidence of a profound and thorough-going interconnected freedom. RR: So there’s a positive spin put on something intrinsically negative, in order to satisfy the Buddhist customer, as it were. I get it. So from there you go into what you call “non-buddhism,” which you seem to be personally embracing. Can you just explain what that is? GW: Non-buddhism is simply a Buddhism minus the principle of sufficiency. It’s not an anti-Buddhism. It’s not a not-Buddhism. It’s not an un-Buddhism. It’s a Buddhism inscribed by this lack of sufficiency. It’s Buddhist material that offers resources for human beings who are trying to navigate life. Or you could do anything with it—you could apply it to a social theory, psychological theory, you could develop a practice regimen out of it, but minus the sufficient imperative that Buddhist teachers operate under—namely, that idea that it has all the goods that makes it necessarily sufficient, so that they don’t have to be placed in dialogue with other forms of thought. The non initiates the removal of undue sufficiency and idealism. Non-buddhism is Buddhism returned to its rightful place at the Great Feast of Knowledge—the gathering of equalized human discourses on what it is to be human. Significantly, Buddhism must leave its transcendental armour at the door to the Feast. RR: I’m not sure what a non-buddhism would be in practice. Would it simply be meditating itself, without the “Buddhism”? Basically, I would take a step back and ask if mindfulness practice or vipassana, which I see as secular Buddhism, is helping people “be sane in an insane world,” as you write, or helping say, ADHD affected children function better, then what is better than that? If it’s working—as you do say, it does work—then what’s the problem? GW: Well, what I would say is if it works, it works because of human biology, human psychology, human physiological dispositions—the “working” is tied to that base materiality. I always write mindfulness with a lower “m”—this simple human cognitive act that we all have the capacity for. My grandmother always used to say. “Be mindful of the time.” That’s just something that’s an awareness that we can generate, a certain kind of basic awareness. And so if you do mindfulness meditation or any other kind of meditation, if it works, it’s because of the constitution of the human being. But what happens in Buddhism and in the spiritual traditions is they encode that simple human practice with extraordinarily complex ideologies, postulates upon postulates upon postulates, hidden value upon hidden value upon hidden value, unstated assumptions about the state of the person and possibilities in the world and all of that. To me mindfulness with a capital “M” is what people are practicing. They’re practicing a little bit of little “m,” which is just a simple human practice, but lots of the big “M,” the ideological inculcation to a world view. My mother had back pain. I taught her some basic meditation, minus all sorts of Buddhist postulates about what it was doing or could do. So that’s another pivot point. The one is a material sort of non-meditation, the simple human practice of attending to your breath, etcetera etcetera. The other is an idealist, Buddhist meditation—“the Buddha did it, and it leads to this or that wonderful result.” It’s all about this and that and the other, and you find yourself ensnared in this complex network of all-too cumbersome, overdetermining Buddhist postulates. RR: So you’re saying the ideological narrative around meditation is what needs to be ruined? Whether it be a narrative regarding the cultivation of well-being, or making merit for better rebirth, or any kind of ideological narrative at all? GW: Absolutely. A narrative is what I would argue is what is seducing and capturing the person. The narrative captures the human’s desire to have the curative fantasy fulfilled with that imaginary plenitude realized. And as long as my desire is captured by that formation, I’m lost, really. I become the preformed subject of a kind of spiritualized bureaucratic system. That’s some of the thinking, and so a big part of this thinking is that the Real, the One, is also the individual stripped of all kinds of claims on his or her identity. Buddhism makes all kinds of claims, like lots of systems do, on the person’s identity, what you should be. What emotions are good? What are not? What ways of being are good? What are not? And this is a kind of violence committed against the human that these systems perform. RR: I see. So then you get to the idea of the Real. What is the Real? GW: Buddhism is so unbelievably interesting because it has all of these “first names of the Real,” as the philosopher François Laruelle would call them. 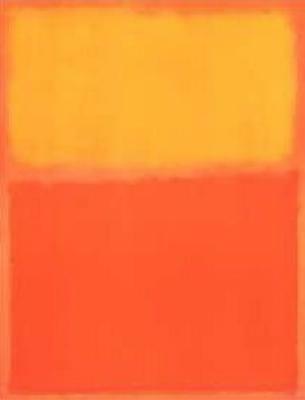 So first of all, the Real is some sort of a-priori that all these different religious traditions and philosophical traditions and spiritual traditions are trying to get us to in some way, either to realize or to fuse with and merge with in some sort of way, cognitively, existentially, emotionally. So it’s a powerful element of human thought—we see it in Taoism, in Confucianism, we see it in early Plato, in the pre-Socratics. Sometimes it’s called the Real, sometimes it’s called the One, or even more often it’s called some other word altogether, like the Tao, or the Truth or Being It’s the notion that there is some a-priori, some really essential important something that stands prior to our language and to our conceptualizations of self and existence to our ideologies, to our world views, and that to the extent to which our worldviews conform to that, the better they are. So it’s a powerful operative to something that we have lots and lots of names for. Like, pain and suffering is a human real. Dukkha-tanha, suffering-desire is an existential, something that’s inextricably woven into the nature of existence—which Buddhists say it is—it flows through life like water. Then that is the idea of a Real. That is the idea of an indestructible kernel at the heart of existence. Pain is a real. Impermanence is a real. Death. These are real. These are profound truths about the nature of human existence that we cannot operate on. We can’t operate on death. We can only operate on constructing fantasies about what happens afterwards. But we can replace those with the actual fact of the real of death, the disappearance, the return into organic, inorganic matter, of our loved ones. You’ve seen a dead person lying there, right? They’re gone! That’s what we know, right? They’re gone. But we can hallucinate all kinds of things about them—fantasies about rebirth and other realms, which we have no experience of. So that’s the critique. It’s that these guys keep starting off with a beautiful powerful Buddhist First Name for the Real, but they invariably go through the process of circling back around to a visionary form of knowledge to shore up against that raw human real. RR: So, to wrap up, I’ll ask you to answer your own question: What are we to make of Western Buddhism? GW: Well, this is another frustrating part of non-philosophy, non-buddhism is that you can’t say—saying what to make of it and what it might be, is to start all over again the kind of harassment of a system. I’m going to harass you by saying what you should make of it and what your life should be like. Part of what that non is is the elimination of harassment. So, you lay out the materials. You do interesting things with it. But it can never be prescribed. See? Part of the criticism of systems of thought, is that they’re too prescriptive. That’s where the violence comes in—they’re too prescriptive of what a human being should be. One of many ways of understanding “the One” is that it ultimately points to the generic human, to what Laruelle calls “the stranger subject,” or, we might say with caution, to the actual person. So, there’s a profound sense of each individual having to make a life for him or herself, free to the greatest extent possible from harassing systems of thought. RR: So, you’re basically saying every individual has to decide for themselves what to make of Western Buddhism? GW: Yes. A synonym for the Real is the One, and ultimately the One is—you know, I’m getting very Buddhist-y here—it’s our old Dzogchen, the Dzogchen mudra. In the thangkas, the teacher is always going like that … pointing back at you. Most excellent, thank you for posting the unedited version. Hi Richard. You’re very welcome. Can you answer this question, because it’s really sticking in my craw. Why would a magazine solicit a review and interview, get some really good material, and then mutilate that material to the point that the reviewer and interviewee can barely recognize what they’re saying? What is the point of that exercise? And what does it say about the x-buddhist publishing institution? Thank you for this blog! I haven’t read your new book yet, but I’m looking forward to it. Sometimes it takes some provocation to start the wheels turning in my head. I found the example of your grandmother used in the interview to be a useful subject of meditation. Pretty strong claim about a purely materialist mechanism for mindfulness! Not sure whether I agree or disagree; and I wonder anyway if that idea is truly at odds with Buddhism (isn’t mindfulness an advantage of the human condition over others?). I wonder, also, if our grandmothers never invited (exhorted?) us to be mindful of the time, would we ever know we could be (and therefore are we sure it’s a purely innate, materialistic capacity)? One last point I’m pondering: Why does grandmother want me to be mindful of the time? What’s in it for me? Or her? Anyway, thanks for the food for thought. Hoping for more when I get my hands on the book! The book will be coming out in April 2020 for about $30. In the meantime, you can download a copy for free at libgen. About grandma. My argument about mindfulness and meditation and “religious” ritual and so on is that their effectiveness is the result of intransitive phenomena (biology, physical reality), while their “working” is the result of transitive phenomena (doctrine, belief, ideology). Glenn I have ordered your previous book ‘Cruel Theory’ which is a lot less expensive – am I correct in thinking that it will contain some foundational material for the new book? Thank you for the link to libgen – I’m sure many of us would like to read the new book but find the cost prohibitive. Hi Paula. Yes, my contribution to Cruel Theory contains a version of the argument. The new book is very different in many ways. It’s more accessible (I think), for one thing. The Cruel Theory was written with intentionally revved up language as a counter to anemic x-buddhist right-speechism. The new book will be out in April 2020 for $30. I am trying to get Bloomsbury to move that release date up. Thanks for your interest. Hi Glenn, I’m 40 pages into the new book on the link you gave – it’s really good – very clear (yes, I would say accessible) and really illuminating niggles I’ve had over six years of meditation practice (Shikantaza). The Freud topography (as applied) works well. Retired from working as a psychoanalytic therapist now but trained within people not psychiatry movement (Ronnie Laing) and also Phd research into Psychotherapy and Hermeneutics (particularly Continental Philosophy). Been trying to give my analytic/thinking mind a rest for quite a while for many reasons but have to admit that reading your book has lit a little fire. Excited to read the rest of the critique! I feel like it is contradictory to say that Westerners misunderstand that Buddhism is a religion not a philosophy, and then proceed to advocate for what amounts to a different form of the secularization of Buddhism. Nevertheless, I agree with some of what you say and believe you raise some good insights. I’d like to discuss this deeper if you could, so feel free to contact me here or through my email at samorino2016@fau.edu if you’d like to discuss there. Hi amorinoblog. Thanks for your comment. Where did you read me saying that “Westerners misunderstand that Buddhism is a religion not a philosophy” and “then proceed to advocate for what amounts to a different form of the secularization of Buddhism”? Maybe read around more on the blog? Thanks. Well the problem I see is that you insightfully say “That’s a primary premise of Buddhism, one that makes it a kind of religious system, as opposed to, say, a psychology or philosophy.” However, then you go on to argue to rid of the religious trapping around meditation and apply it as a purely practical remedy. Isn’t that the exact thing you are criticizing about Western Buddhism? My work here is concerned with the identity of x-buddhism, not with its truth value. I hope that clarification helps. Thanks, this clarification helps. The only thing I would ask is whether you think that any of these ideological matrixes you view as more problematic than others. I would say that the problematic ideological matrixes would be the medicalization or secularization of meditation, because even though the stated aim is bringing meditation to more people, “mindfulness”, it becomes something “diluted.” Furthermore, I’m curious if you could point me articles you’ve written on this subject that clarifies what you mean by non-Buddhism, and clarifies in your theory the “what is vs. what should be” as Hume would put it. Hi – if I can just briefly chip in here, I don’t think it’s possible to fully engage with this topic without having read the book (freely available online) and I’m also finding ‘Cruel theory/Sublime practice’ relevant/helpful too. I’m reluctant to say much without re-reading both texts which I’m currently doing. I think it’s really important to just let the material sink in past any defences (I had lots!) because if the reader is a practicing buddhist (I am) its going to be hard. If its not hard then the I feel the point of the presentation is lost. I don’t feel Glenn is attempting to take anything away (one’s practice may go on just as before) but maybe just take the blinkers away from our eyes. The biggest thing for me to work on is transcendental signifiers (its the aspect of what bothers me most in what I’m expected to take on board as an ‘essential’ truth) and I don’t know what the outcome of that will be. But not to work on it would be to go on practicing in ‘bad faith’. 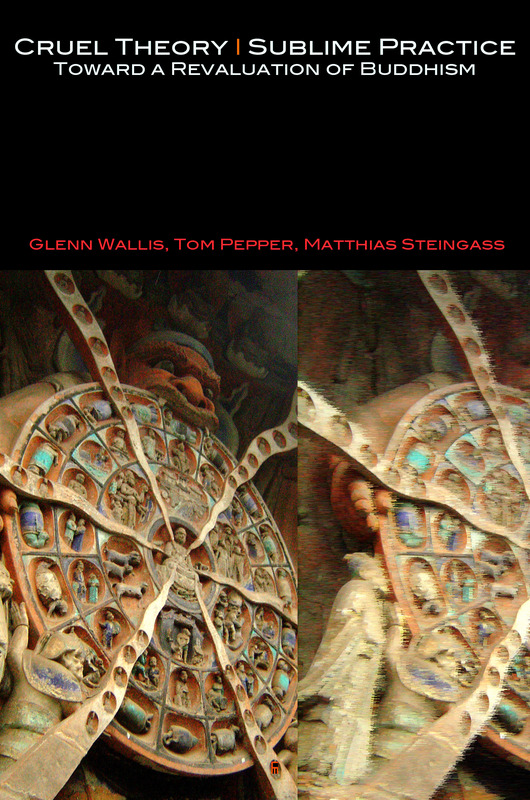 I also feel Glenn (and Tom Pepper’s) work on the Real is very important because the way in which x buddhism does a full circle round this aspect of our lives – introducing us to the REALity of unease/difficulties in our lives and then pulling us away before we’ve faced/battled with the complexities – (a flight into transcendence away from immanence) I find troubling. Anyway – that’s probably too many words – but if I could just add I feel it would be really helpful if folks shared more about their actual practice so this discussion doesn’t become wholly intellectual/theoretical. amorinoblog. Paula Burns’s comment says it as well as I can. Thank you for that, Paula. I appreciate such a clear-eyed assessment. I do so generally, but especially coming from a serious practitioner. It really helps clarify the intent of the project. Concerning “what is vs. what should be,” the new post should help. Thanks Glenn – that’s encouraging as only just beginning to grasp the bare bones of the project. I’d like to read further but not sure where to begin. Badiou and Laruelle have been fairly prolific in output so do you have a text for each you would recommend in order to get a balanced view. It’s been 28 years since I was doing research within a Philosophy department but must have missed a beat because I can’t recall either being spoken off – and the department was very strong on Continental Philosophy ? It is of course impossible to read everything (and have a life!) so would appreciate some pointers as nearing 70 I’m really careful where I place my intellectual/creative energy now. Thanks in advance. Really interesting post which I need to give more time to read. There is definitely a very real danger of the co-option of mindfulness by the Neoliberals, it becomes a very useful tool in blaming the individual for not having enough resilience rather than being honest about the real environmental and social difficulties that could be impacting them. That said, I don’t think there’s a problem with adapting Buddhism to modernity and to the West. All religious figures have always been seen as reflections of their followers of the time – it’s probably necessary to keep it relevent. There are similarities to how people would have lived 2,500 years ago, but also the world has dramatically changed. Thank you for the comment, although I still disagree. I think that the hardest thing to do from a Western point of view is to look seriously at the ideological (atheist and secular) blinders we have coming into Buddhism. “we Western philosophers are getting back to the real authentic Buddhism, without all the metaphysical stuff” or rather “we (Western philosophers) are creating a new real Buddhism without all the metaphysical stuff.” Well, that’s not Buddhism anymore, I don’t know what to call that. I’m not necessarily accusing Glenn of doing that, but I see danger in that, beyond my personal disagreements with it from a spiritual point of view. So all I’m saying is: if this has been good for your practice, I’m glad. What I’m worried about is the idea that we need to “de-mystify” Buddhism, or “rationalize” it. I don’t agree with that. And I understand the skepticism, I really do: no one likes being told that something is absolutely true. But I believe that Buddhism’s own message about absolute truths is already nuanced. Hello – thanks for continuing with the discussion. Not sure I can respond adequately to some of your points so I’ll just try to briefly say what I understand from the book. Firstly – I don’t think there’s an issue with ‘faith’ as such. The issue is with a representation of Western Buddhism as an ‘organon’. If one wants to cleave entirely to an ‘unscientific ‘visionary’ nature of Buddhist knowledge that’s perfectly acceptable (as long as one is conscious of that ) and not trying to make one’s faith into a rational, observable fact. Personally, I’m not sure that ‘faith’ is necessarily wedded to ‘belief’ understood as belief in essential (a priori) truths. I am comfortable is seeing my practice as a faith – a spiritual practice – without the need to follow a literal interpretation of every tenet. Many liberal Christians feel the same way and are prepared to question their beliefs. We have to accept that we are situated in the 21st Century, in the West and therefore our practice is inherently hermeneutic (the Buddha would have applauded this) so I see Glenn’s project as a considered appraisal of our individual processes – and for me the central question is ‘why do I even want to transcend ‘the path of suffering and death?’ That is why (for me) the discussion of what constitutes the Real is so interesting/productive. The book itself concentrates on the issue of ‘decision’ through a cognitive aspect. I’m more interested in the affective/psychological aspect of decision – but that’s ok – because I feel the book gives a way into this. Really – there is so much food for thought – and I’m not saying I agree with it all – but it’s a process well worth going through and it might just strengthen one’s practice – or the opposite – but in terms of my personal journey a risk worth taking. Ah, I see where you are coming from now. Yes, not taking things literally in terms of doctrine would be applauded from a Madhyamaka point of view (relative vs. absolute truth, etc). Like Buddha Shakyamuni said, I agree one has to test everything said in the scriptures before one accepts it. When I say “believe”, I don’t really mean “faith” in the Christian sense of the term though. Like I said, I think those nuances are already present in the sutras, etc. And no, I’m not proposing clinging to an “unscientific” version of Buddhism, if by “unscientific” you define it as “believing in reincarnation”. In fact, there are perfectly rational reasons for believing in reincarnation, ontologically and pragmatically. To make a long story short, I think modern secular Westerners are uncomfortable thinking about what happens when we die, and cling to the “proven” idea that we turn into nothing when we die. I reject all these dichotomies, “rational vs. irrational Buddhism”, “scientific vs. unscientific”, because in the end those are just labels tainted by the culture we live in. Hi there – to be honest I’m just trying to engage with Glenn’s book without jumping in with any fixed notions. I think it’s worth bracketing out my views and opinions until I’ve got a grasp of the argument. I’m not at the stage of arguing for any interpretation or appropriation of western Buddhism. Back to practice – which is what I’m really interested in. I practice within the Zen tradition which is maybe the least tradition bound in terms of ritual, etc. However Dogen has been referred to as a ‘mystical realist’ and that sits very comfortably with me. Something I’m really interested in is how we (living at the time and the culture we’re in) appropriate certain tenets in order to cope with the Real (Dukkha – in all it’s guises). Glenn ranges wider in his book than I’m equipped to – I’m not an expert in Liberal Capitalism or politics, etc – but I am wanting to think more as to how a certain appropriation of the terms, suchness, ultimate reality, etc play out in our dealings with our lived world – both personal and communal – such as it is in our present time. Does our relationship to these terms help us engage and act more from a state of wisdom, compassion and equanimity – or is there a danger that we simply retreat into a state of complacency and quiescence. I have only thoughts – no fixed views – on the above. I also feel it’s really difficult to have these discussions over the internet (have never tried before) because I’m really wanting to discuss the book and the central ideas and things very quickly veer off. Thanks for your reply but I think now I probably need to just read a bit more and get my head round the material at hand. I would suggest Anthony Paul Smith’s, “Francois Laruelle’s Principles of Non-philosopy, A Critical Introduction and Guide” as a good way into Laruelle. Although I don’t think Badiou is central to Glenn’s project, his thinking comes up a lot here, especially by Tom Pepper in his arguments for truths and the formation of subjects faithful to those truths. An intro to Badiou by Ed Pluth was very helpful to me. Thanks Danny – much appreciated. Although I have not read the book, with all due respect I just wanted to point out that Buddhism DOES NOT and HAS NEVER been based or thrived on the concept of duality. As you said, quote ‘Buddhism makes all kinds of claims, like lots of systems do, on the person’s identity, what you should be. What emotions are good? What are not? What ways of being are good? What are not? And this is a kind of violence committed against the human that these systems perform.” I believe you have missed the whole point of non duality in Buddhism. Claiming or judging emotions or anything in that matter has never been a part of Buddhism or its teachings. In fact, the dualistic state of mind is itself a hindrance in Buddhism. So I think before putting out such statements, you should rethink and base it on relevant source. Hi paldroninsight. Thanks for your comment. From the perspective of the non-buddhist analysis (as I think you’ll see once you’ve read around the site some more), Buddhism is precisely a spiritualized machine for calculating judgements about all things human, including emotions. I agree that Buddhism presents itself as something else entirely. But maybe I should quickly point out that this project concerns a decimation of such pretensions. The purpose is not annihilation. The purpose is “a perpetual state of producing novelty, of opening and rectifying a specific space of knowing” (Laruelle), a space, moreover, that is free from the punctilious gaze of the kind of Buddhist mastery that your comment assumes. Thanks again!